Embodying Fashion, a talk hosted at YKK‘s London Showroom yesterday evening, was chaired by Disegno’s Oli Stratford and featured panelists Zowie Broach, Sam Jacob, Kei Kagami and Alistair O’Neill. The discussion looked at the environments in which fashion is displayed and how this affects our perception of garments. Retail, catwalk, installation and how the conventions of these shape the way we think about design were all points of conversation. As well as examining how these spaces generate quite defined expectations and what the consequences of those are. 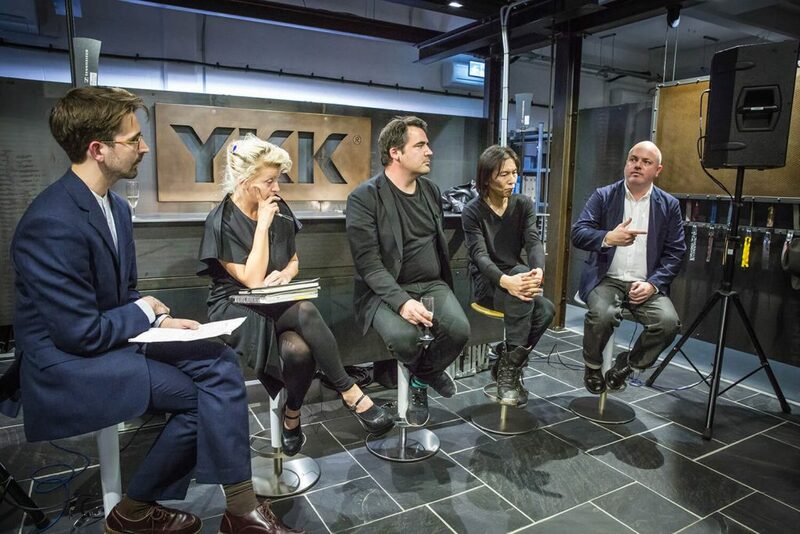 Disegno hosted the discussion at the YKK London Showroom to mark the one-year anniversary of the space.